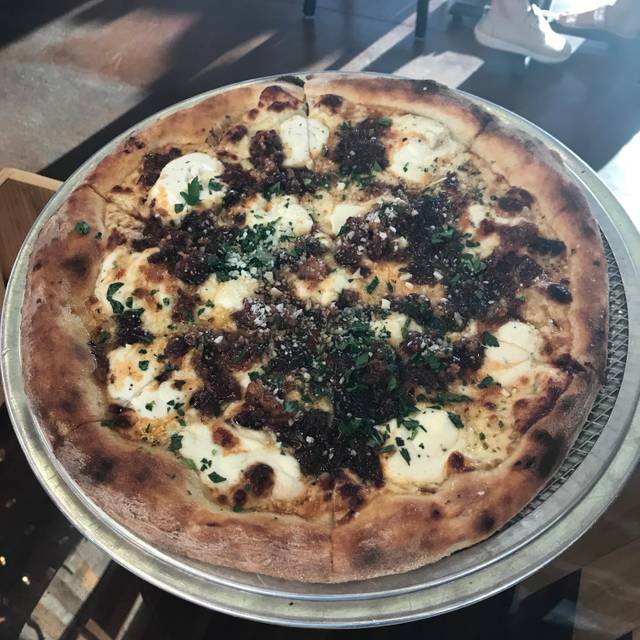 Watch our Pizzaiolos make your pizzas, large screen tv's, old school hip hop jams, dogs on the patio, bartenders slinging drinks....stuffing yo face. Please go to: https://canerosso.tripleseat.com/party_request/7480 to complete a request for offsite catering. 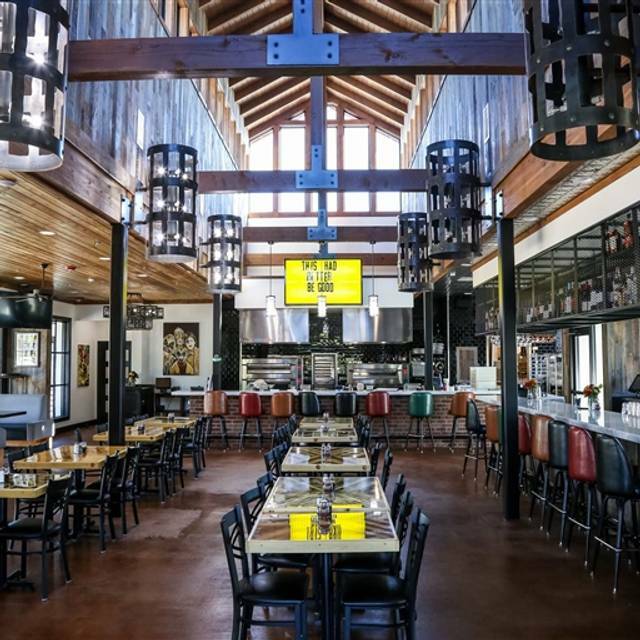 Zoli's has a dining room capable of seating up to 55 people. Available for both private and semi private events. Please go to: https://canerosso.tripleseat.com/party_request/7480 to complete a request for an event. NY style pizza in Dallas. 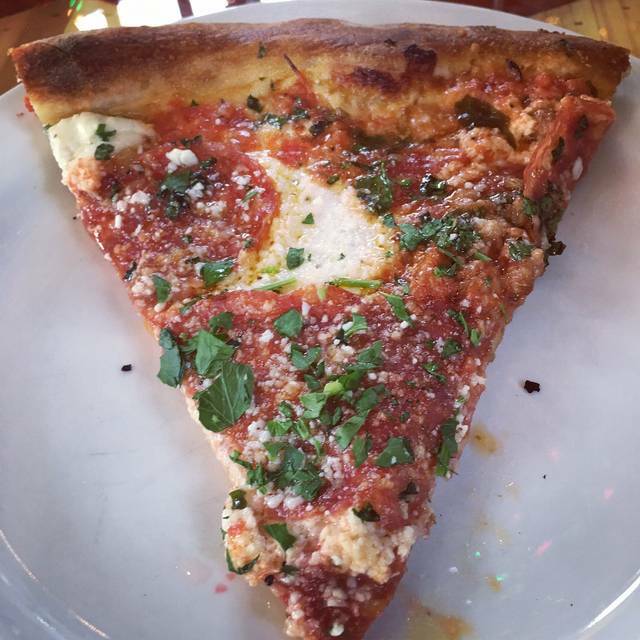 Zoli's has a straightforward menu of NYC-style pies, heroes & salads plus lunch specials. Try the Grandma; it's mint, bro. Great food and good atmosphere. I can see it being loud on a busy night, but we were there during a slow lunch hour. They lose a service star because when we ordered dessert, they could have let us know they were shareable - they are. Great place loved the food. There were eight of us for a Sunday birthday brunch. we had 3 kids aged 3 to 7 and they loved the star wars theme. BTW the Bloody Mary is awesome. The pizza was good, not exceptional. The service was average. The most disappointing part of the evening was the table behind us had unruly children that screamed and ran around the tables. Management nor the servers did anything to curtail the disruptive activity which made it almost impossible to talk. Other diners seated nearby had children that looked on in horror at the spectacle of these misbehaved children and their clueless parents. An eating establishment must remember that just because they do not want to make waves and alienate the offenders, in turn, they alienate other patrons. For that reason, I cannot recommend Zoli's and will not return. We had an amazing time with great service from Hanah. The food and drinks were fantastic!! Highly recommend this place. Fun friendly atmosphere, a bit loud though. We got the garlic knot appetizer - a lot of bread with very little dipping sauce. Then we ordered the Lil' Troy pizza - was very good. Cocktails were nice. Overall good experience. Very cool place and the pizza was good. We tried both NY Stlye and deep dish and both very good. For this evening, I wanted something with a reservation since the chances were good that a restaurant would be booked. Zoli’s NY Pizza was available and I had been trying to get back as this is a favorite place. Making the reservation was easy and it had the exact time I wanted. It was just two of us and we split the crispy Brussel sprouts, a chop salad, and pizza. Each was delicious, hot (except the salad, of course) and tasted great. Splitting these was the perfect amount of food and we took half the pizza home. Zoli’s is a great place for fun Italian and although I haven’t tried the pasta, that is on my list for the next visit. Which I hope is soon. Towards the end of our meal, the service for refills and checking in took longer. It took awhile to get the check after we asked for it. We had an enjoyable time and this minor problem was the only issue we had. 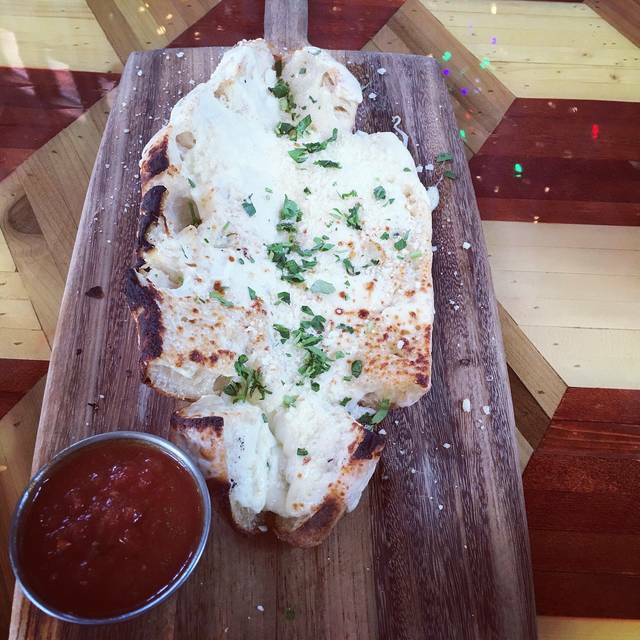 Great pizza, fun decor and if you dont want pizza they have other delicious options!! Great pies, service and buzz! The appetizers were great, too. All of the food was incredible. We got the spangler with mushrooms and onion and it was outstanding. The garlic knots with schmutz were the perfect appetizer and we finished with the classic skillet cookie. I'm not usually into that but the nutella and ice cream on top really did it for me. Great pizza and experience! 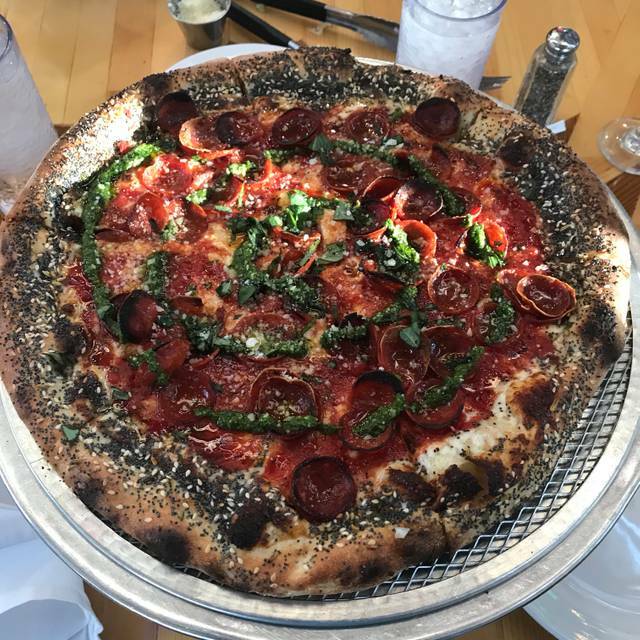 We have the round pizza for 2 and it was perfect. I like the options that you could add to the Spangler (their version of a margherita). I added eggplant to my side. The CBD pizza was awesome, girlfriends half with out the bacon was prob better than with the bacon by toning down the salt factor, but still amazing. The crust was perfect and the everything bagel seasoning was pure genius on top of the crust. The cookie with Nutella and ice cream was a rediculous dessert and should coming with food coma warning but was gooey and rich in chocolate as it should be. Wait staff was awesome and very attentive. We will be back to sample more. 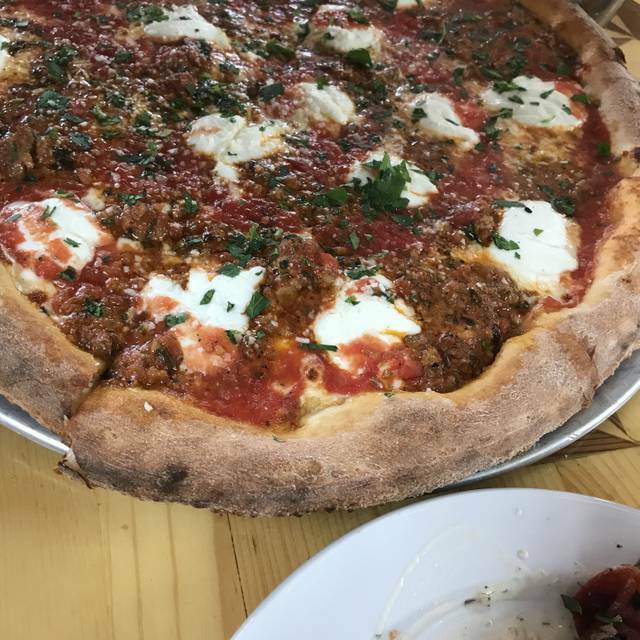 Best pizza and NY Italian food in Texas! Lee is the best pizza slinger I know in Texas. His taste for perfection is unrivaled. Classy and Affordable with FLAVOR!!!! The service was horrible. We never saw our Waiter until the main course came after taking our drink and food order. The appetizers came before the the drinks with the soft drinks coming after the wine. As they are clear the dishes for the main course, sauces were spilled on the my chair and without cleaning properly the waiter said it was ok for me to sit down. Y'all make good pizza, need to seriously revamp the service! Really good NY style pizza. A bit understaffed for the evening but understandable with the Cowboys playin Saturday prime time. Usually not good for restaurant biz. Lee is an incredible Chef, producing pizza and pasta that is perfectly seasoned and consistent. The sauce is like grandma used to make! I love this place. I've dined in twice with a nice size dinner group (10 - 13 people plus toddlers) and the service has been amazing! On my recent visit they were able to accommodate my group an hour early. The food is great - good selection of apps, salads, pizzas and calzones. There is also a full bar in which Happy Hour specials are offered at the table. This is a fun, casual place to go with a group as they are well equipped to accommodate. The atmosphere is a major plus too - lots of glass windows that give the restaurant a lot of character! Always a good place to have a pizza. The Pizza is tasty and the service is good. Good pizza. Fresh, quality ingredients. Really tasty, crispy crust. Good service. Pizza came out warm, not hot, but hard to argue with otherwise. Overall not great but fun vibe , skip the spinach dip just a big blob of goo with little flavor, burger is a bit overpriced but very tasty never the less. 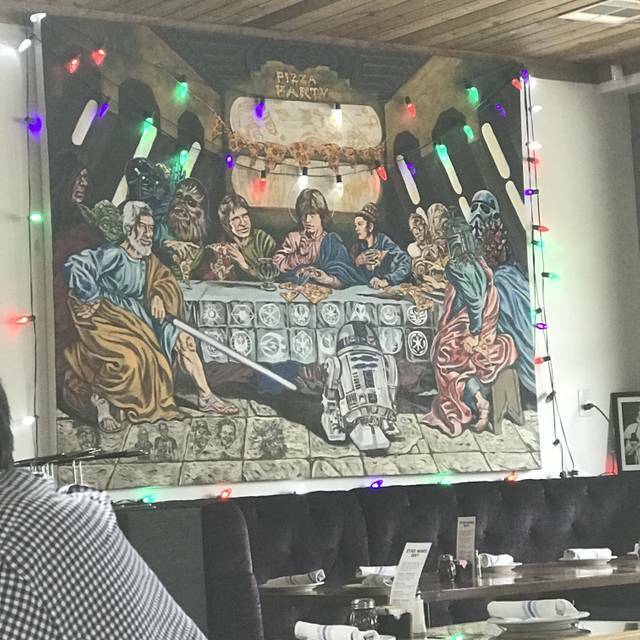 We hosted a holiday party here with a group of friends... It was perfect for our 10-15 people group and it was reasonably priced. Our server was wonderful. My only complaint was no blue cheese olives for my martini but I improvised. Thanks for a wonderful time! Very good pizza! Cool atmosphere, our waiter was new, so he lacked some efficiency and knowledge of menu items, but the fried zucchini was greatness and the meatball pizza delicious! Cool, laid back vibe We will go back! Zoli's makes the best pizza in Dallas by far. They have a great selection of pastas and sandwiches as well and a creative list of appetizers to choose from. The craft beer selection is small, but good, with a variety of local offerings. Definitely one of our favorite haunts. We had the margarita pizza not on the menu. Salad was taste and pizza was delish. They keep upping their game ! Spinach artichoke dip was delicious , creamy and the addition of peppers were awesome ! I LOVE Zoli's! It is just a short walk from my apartment, so I have been many times. For all my visits I have tried something different and have NEVER tried anything I didn't like. Overall it was good. I was not impressed though. From the pictures I felt I was getting a little more of a dressy location, which was not the case. This is where my review stems from. I would not go here on a date you want to be dressed up for or a special occasion that you desire to be dressed up for. The Brussel's were decent and the garlic bread was great. The fettuccini was not something I would get again if I did come back. The service was ok, we were a party of 8 and I feel it could have been a little more speedy but she made up for it with her pleasantness. The food is okay, wish they had a thin crust option (the round pizza is NOT thin). The service was okay, the server just didn’t know much about the menu and was unable to answer our questions. Cool ambiance though and great cocktails! From reading all the reviews I was expecting really great NY pizza. VERY disappointed! The sauce was too sweet and pizza crust dry and hard! The pizza is very good- not quite New York style but still yummy. The s’mores dessert was just a liquidy mess, though. 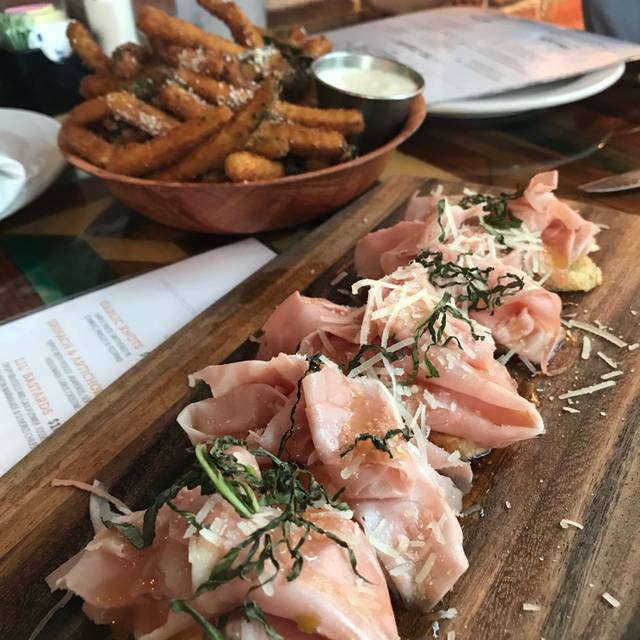 Genuine Italian Specialties with NYC attitude. Didn’t appreciate the servers drop and run tactic nor his disdain for us being there. Hello? Isn’t that how you get a paycheck? Mickey was AMAZING! She was very knowledgeable in regards to the menu, friendly and made our overall dinner very enjoyable. We will definitely go back! Original pizza recipes that are delicious. Best Brussels sprouts ever!! We came for the advertised "Monday Night Football Happy Hour". The food (as always) was good. We had a few appetizers and the special, Pork Chile Pizza. Although spicy, the pizza was very good. The only reason for the 3 stars is because we were given last call at the start of the 4th quarter and basically kicked out (staff breaking down and putting chairs up on the tables) prior to the end of the game. There were 3 other tables in the restaurant at the time so we were not the only ones keeping the staff on the clock. In short, the restaurant should not advertise for customers to "come watch the game" and then kick them out at the two minute warning. Next time, we will choose a place that wants us to be there to spend money and enjoy the entire game. Service was outstanding. 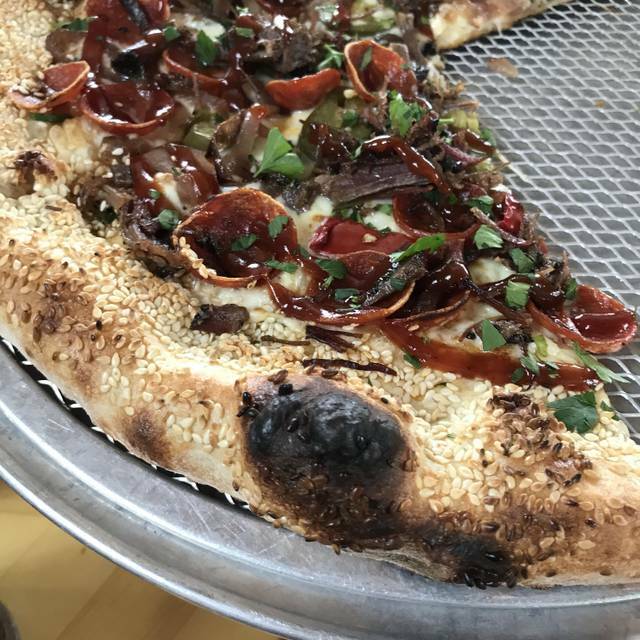 The only downside was that the Meat Fight pizza didn't have much brisket on it. It’s our first time at Zolis and we absolutely loved there pizza selection. Not one of those routine pizza places at all! Would highly recommend it!